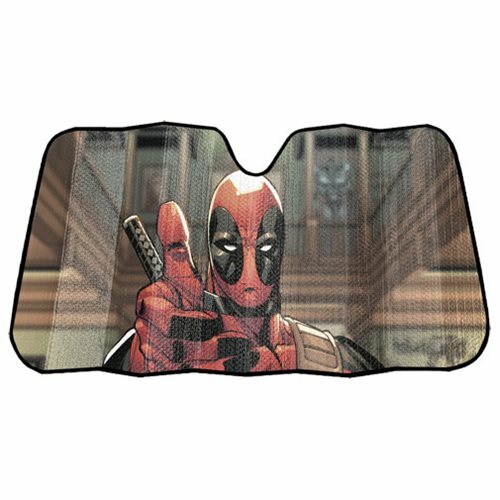 Give the gift of Deadpool positivity to everyone when you put up this awesome sunshade in your car! This Deadpool Thumbs Up Accordion Bubble Sunshade features the popular Marvel superhero blasting out a chipper thumbs up for all the world to enjoy. Measures 58-inches wide x 27 1/2-inches tall. Ages 13 and up.